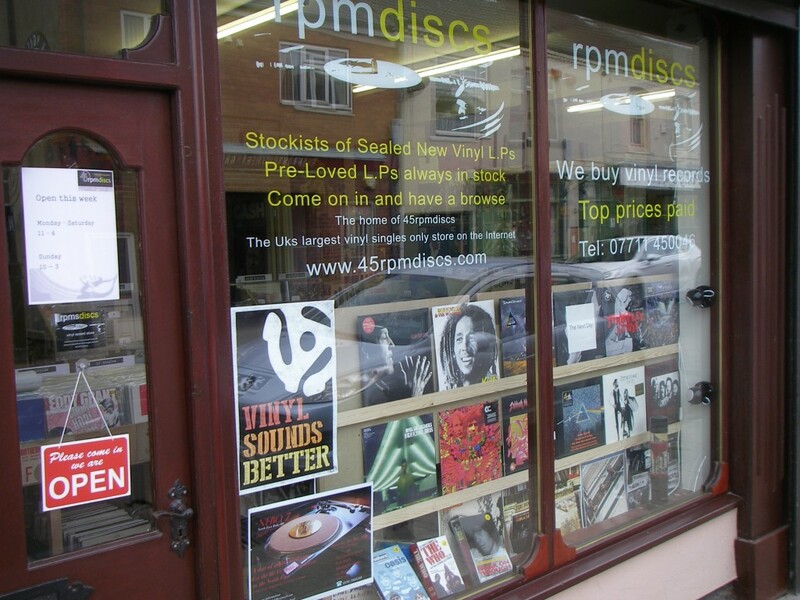 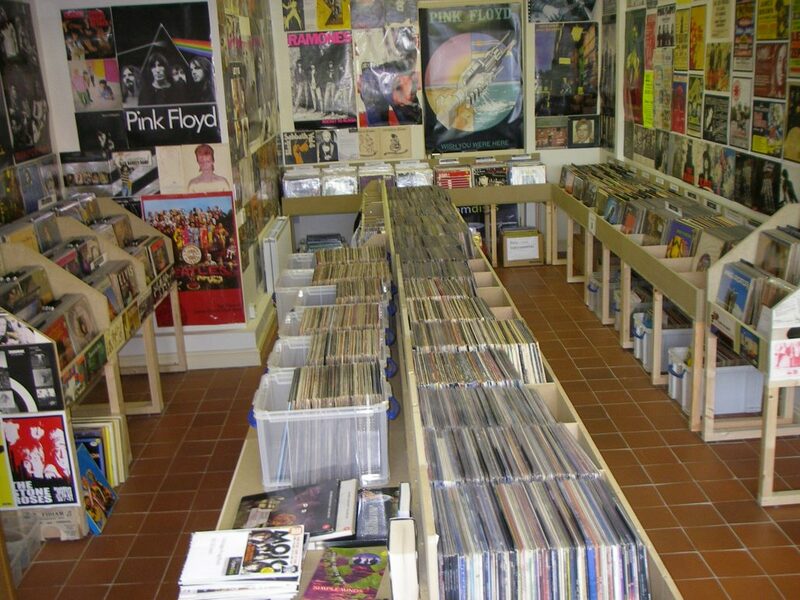 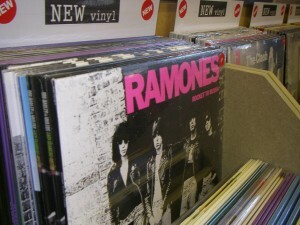 Welcome to rpmdiscs a traditional vinyl record store based in the heart of Wingate, County Durham. 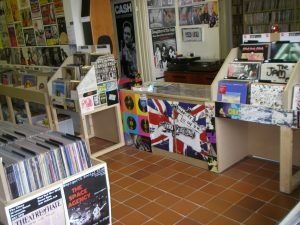 We have been trading online since 2008 as a full time business selling vinyl singles from our web store www.45rpmdiscs.co.uk and from mid 2015 selling LPs in our bricks and mortar shop. Our singles are all stored onsite but are not available for browsing . 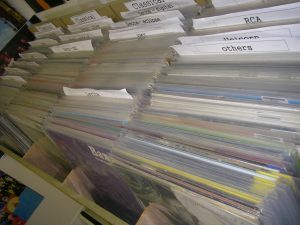 Bring the location number of the singles(s) into the shop and we will happily pick them from stock. 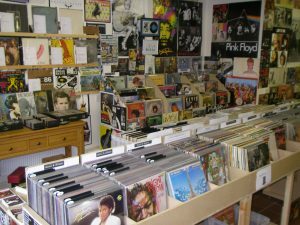 When it came to look for bigger premises at the start of 2015 we intended to look for a warehouse type unit to expand the web stock. After a good deal of searching we settled on some premises which just happened to have a shop front. 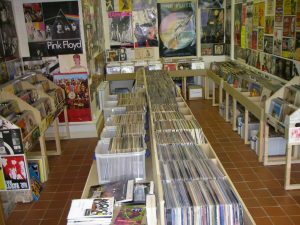 After moving the 60,000 vinyl singles into the racking in the premises we were left with a sizable empty space in the middle!! 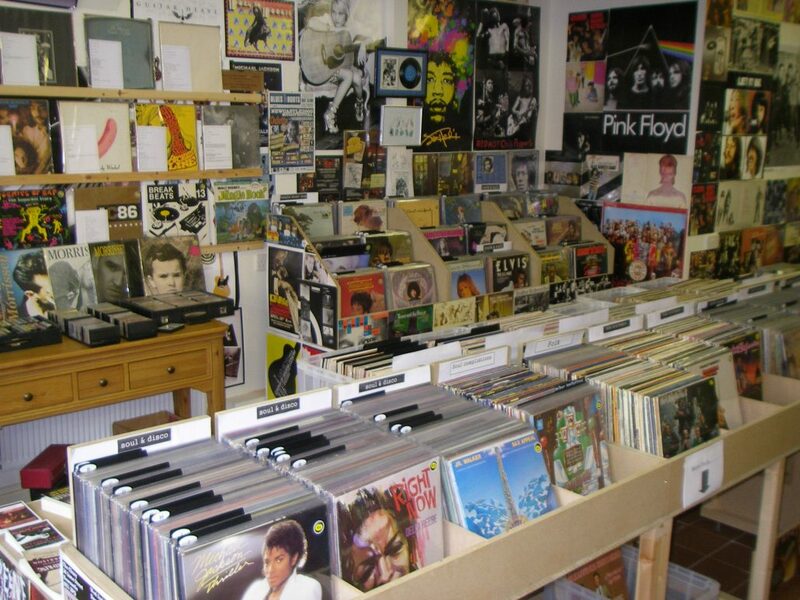 It really just seemed the only decision was to open the spare space up selling vinyl LPs. 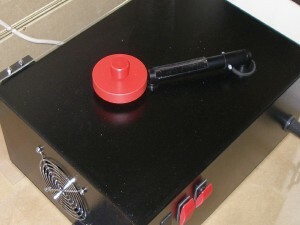 With post costs a high percentage of any online LP purchase, coupled with variable quality on offer in the pre used LP markets, we believe the optimum solution would be to walk in – look and even play the LP on a customer turntable – and to offer quality used LPs at a cheaper cost than buying online. 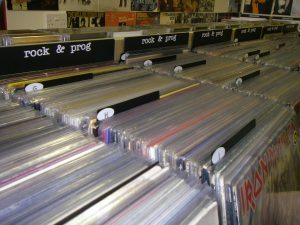 We stock all genres – including heavy rock & prog, folk, rock & roll, soul & disco, reggae, blues, easy listening, country and pop. 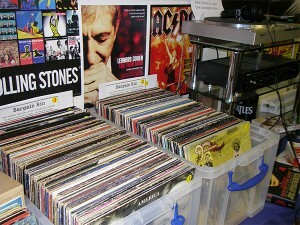 We also cater for the easy listening and big band collectors. 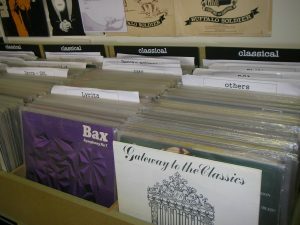 100 or so Rap/House/Techno LPs and the same quantity of 12″ Rap singles. Loads of pop/punk/heavy/soul 12″ singles. 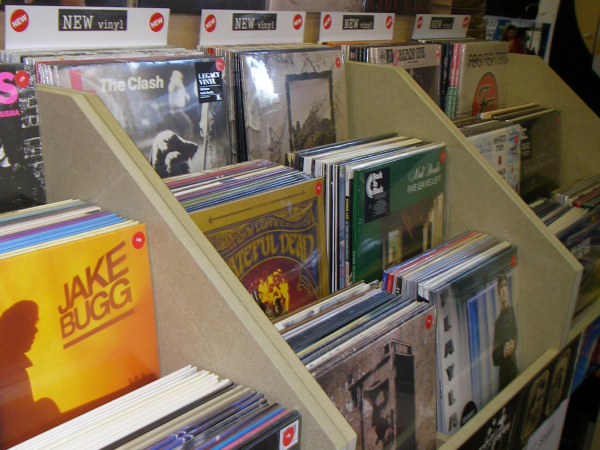 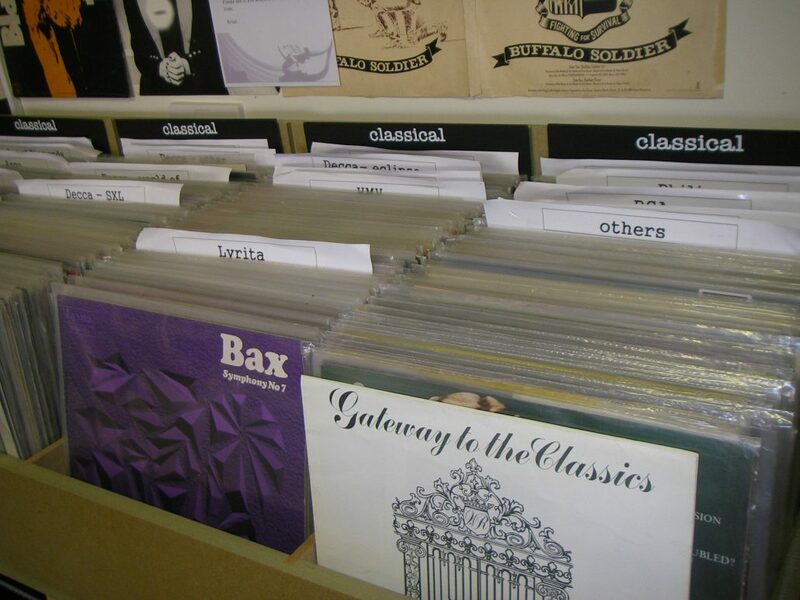 We even have a couple of large bargain bins full of great sounding vinyl LPs – most at £1. 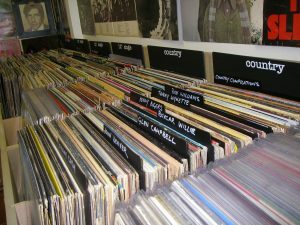 Our little bit special rack offers some hard to find and collectable LPs – check out the Rare tab in the menu for the current stock and asking price. Come on in and pay us a visit soon and rediscover vinyl in a real record shop. 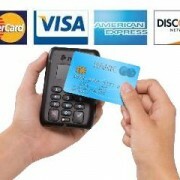 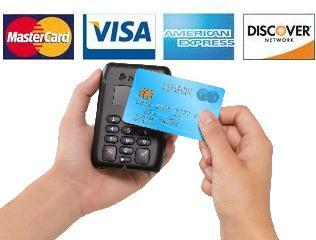 Payment via card – chip and pin or contactless and there is a cash point next door to the shop if you prefer this option.